The celebration of Purim is the victory of the oppressed rising over an oppressor. Countless stories of the Jewish partisans during the Holocaust are more or less, echoes of this story and have resonated over time as a parallel to Purim. Some of the themes seen in both the Partisans and Purim include hidden identities, outwitting enemies, recruiting allies, providing food for those in need, confronting antisemitism and, of course, armed resistance. 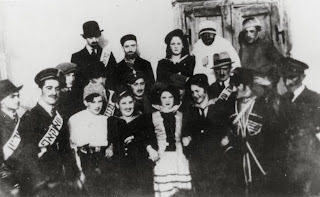 Purim celebration held by the Beitar Zionist movement in Wlodzimierz, Poland in 1937. Thousands of Beitar members reportedly formed or joined partisans groups and participated in the in the Warsaw, Vilna, and Bialystok ghetto revolts. Photo source: USHMM. At the climax of the Purim story, Queen Esther (whose name can mean "hidden") reveals her Jewish identity in order to save her people. At significant risk to her own safety, Esther confronts her husband, King Ahasuerus, and convinces him to thwart Haman in order to exterminate the Jews of Persia. The king grants Esther and her cousin Mordecai ("warrior") the authority to issue a counter-order, allowing the Jews to take up arms against their attackers. 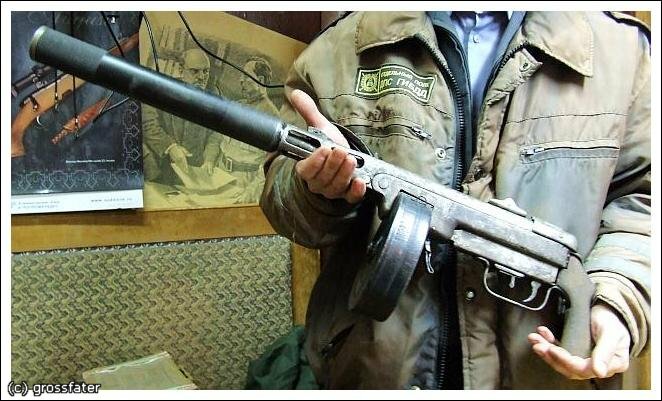 As with the heroes of Purim, Jewish partisans saved thousands of lives through a combination of intellect, arms, the will to create a better future, and a great deal of mazal (luck). While Mordecai and Esther are heroic figures in Jewish lore, the day is truly won by the largely unsung Jews of Persia who united to rebel against their murderous assailants. As with the Jews of Persia, the great majority of the Jews who struggled against Nazi forces – both partisans and the millions more who engaged in unarmed resistance – remain nameless heroes, hidden in the shadows of our history. 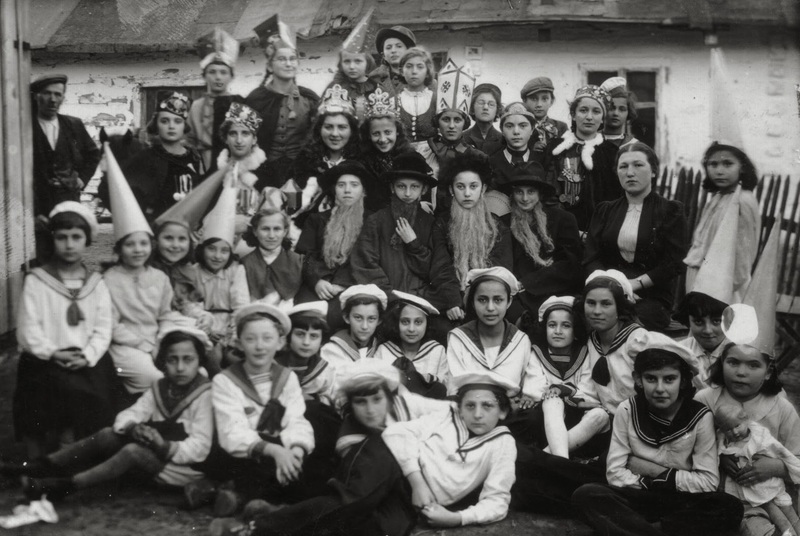 Purim celebration in 1939. All but one person in this photograph - Jewish partisan Norman Salsitz - were murdered by the Nazis. Today, the world continues to face oppressors who are willing to use brutal violence to attain their goals. The story of Purim, and the history of Holocaust resistance, teach us that the key to defeating injustice is using our minds, our bodies, and our spirits to act justly to defend ourselves and others from tyranny, bigotry, and violence. Rachel Margolis was born in Vilna (Vilnius), Lithuania, in 1921. In 1941 Nazi Germany invaded Lithuania and Rachel was sent to live in hiding with a Christian family. A year later, she decided instead to move to the Vilna Ghetto; a ghetto so terrible that over the two years of its existence, the population fell from 40,000 to only a few hundred. During her time in the Vilna Ghetto, Rachel joined the Fareinikte Partisaner Organizatzie (the United Partisan Organization), headed by Abba Kovner. When the ghetto was liquidated in 1943, under the orders of Reichsführer of the SS, Heinrich Himmler, Rachel and her future husband escaped to the surrounding forests. Although they faced the constant threat of starvation and disease – not to mention capture by their oppressors – the partisans actively fought back by blowing up Nazi lines of communication. The sole Holocaust survivor in her family, Rachel went on to gain a Ph.D. in biology and worked as a teacher until the late 1980s. In 2005, Rachel found and published the diary of Kazimierz Sakowicz, a Polish journalist who witnessed the Ponary massacre of 1941 to 1944, which killed up to 100,000 people, the majority of whom were Jews. In a turn of events that astonished the international community, the Lithuanian authorities sought to question her in 2008 for her role in alleged war crimes. The motivation behind this is an ongoing historical revisionist movement that seeks to equate Soviet occupation with the Nazis and the Holocaust by describing it as a 'double genocide'. In 2010, Rachel published her own memoir, A Partisan from Vilna, chronicling her early life and battle to survive Nazi oppression during World War II.